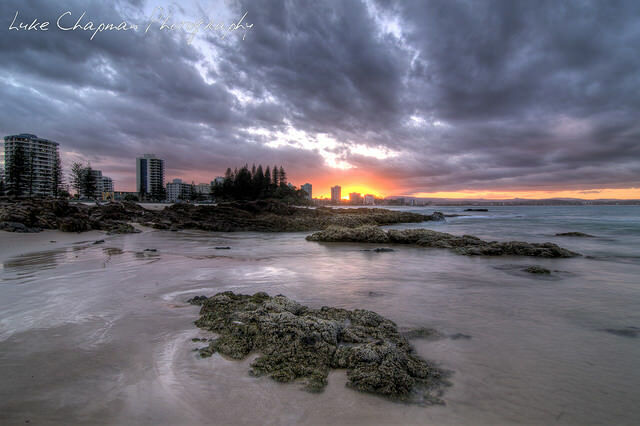 The Gold Coast is an amazing place to visit, whether you live in Australia or on a tour. The place is buzzing with life and is a heaven for tourists. However, it is known to be expensive, which deters many tourists who want to explore but are on a budget. Being such a person myself, I can convince you that you can actually enjoy a Gold coast holiday, without running out of money. There are eight things to do when visiting Gold Coast on a Budget. This is a crucial aspect if you are on a budget. Your time and duration of visit and the places you would be visiting should be planned beforehand. If booked in advance, you can get big discounts on your flight tickets, as I got. Gold Coast is full of big budget hotels and cottages offering expensive accommodation. Even their discounted rates are higher than usual hostel and small budget accommodation providers. To get the best deal, you should look up online accommodation comparison sites like Wotif.com (and be sure to check out our accommodation guide). There are various transportation alternatives available if you want to travel in the city including buses, taxis or you can simply rent a car. However, you can also get bikes and that would not only be the cheapest but also the best. You can explore and enjoy the place like never before. Rather than relying on guides and tourism packages, it is better to explore the place yourself. Not only would you be able to make the most of your holidays, but also find great deals. It is a great idea, especially for those visiting Gold Coast on a budget. While in Surfers Paradise, we were approached by vendors giving free theme park tickets near the Cavill Mall. We denied that time, but later on came to discover that those vendors try to show you a time-share presentation after which they make a strong pitch to sign up. If you ever come across such vendors, be wary and save your precious time. Theme parks can be costly, so it would be better if you do a little research before going. You can reach early at the theme parks and get early bird discounts or you can get multi-day and multi-park passes. You can also look for discounts online, which is precisely what we did and got great deal. 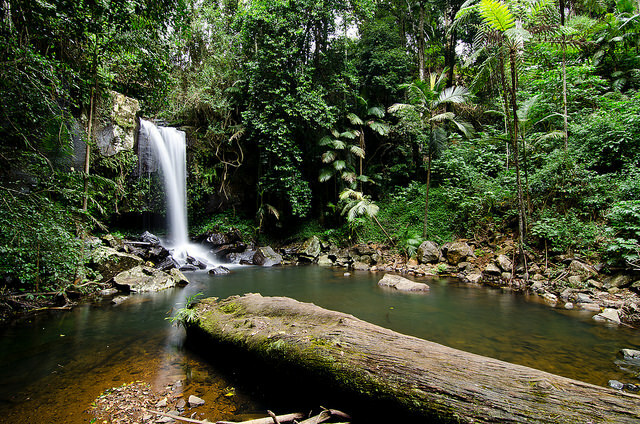 The Gold Coast hinterland is an amazing place consisting of three national parks, waterfalls, creeks, valleys and mountains. 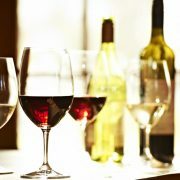 It also contains some wineries and if you are lucky enough, you will get to taste some ultimate wine, all for free. On the Gold Coast there is no dearth of cafes and restaurants offering quality food at affordable prices. At Surfers Paradise, you can get food in lunch box style for less than $15, while it would anywhere between $20 to $50 in Broadbeach area and Tedder Avenue in Main Beach. 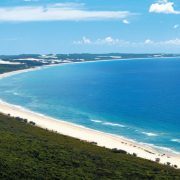 Gold Coast has more than 30 beaches in total that are patrolled regularly by lifesavers. It is important for you to swim between the flags that demarcate the area surveyed by these professionals and volunteers. Also, since swimming does not cost you anything, it is the best way to enjoy a budget holiday on the Gold Coast. Follow these tips, as I did and enjoy a great destination without financial worries. Natasha is travel blogger and adventure junkie from Australia who loves sharing her stories and experiences online. She believes that a trip like this is stressful to plan, but has its rewards - new friends and experiences. Also, this trip to Australia's Gold Coast was made much easier with the great service offered by the East Coast Car Rental Company. Some great suggestions! You’re right that food can be expensive on the Gold Coast – visitors on a budget should check the shopadocket.com.au website. You can get some good discounts, sometimes even two-for-one meals. 1. Venture out of Surfers Paradise – not many locals hang out here. It’s primarily a tourist zone and doesn’t give you a real idea of what the Gold Coast is like. Take the bus or drive down to Burleigh Beach. Have a coffee on James St and go for a swim. It’s much more relaxing! 2. As previous commenter Philip suggested, it’s a great idea to use shop-a-dockets for meal coupons. Broadbeach restaurants such as Sage & 1 TWO 3 are often advertising and you can get 2 for 1 meals – great food! 3. Make sure you wear sunscreen – the Australian sun is very harsh and you can get nasty sunburn if you’re not careful. British tourist are often the most affected by this so please be careful. 4. Seek out the supermarket chain ‘Aldi’ if you want discounted groceries. Buying all your supplies from Woolworths and Coles is very costly. For fresh fruits and vegetables, head to the Carrara markets on the weekend. 5. Visit some of the coffee shops. A few local hotspots are Elk Espresso, Vintage, Blackboard Coffee, Black Coffee Lyrics, The Hub (Varsity) and Commune. 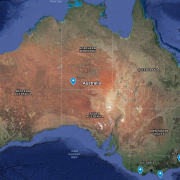 Hope these tips helped any future GC travellers! I run a small spray tanning business in Broadbeach Waters that is very popular with tourists. I love to make recommendations for travellers! Awesome – thanks for the added tips! Great suggestions! 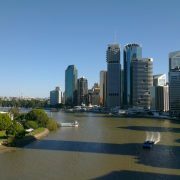 The Gold Coast is just full of great things to do and see when you get away from the typical tourist-ee stuff. Some great cafe’s and great growing independent subcultural boutique stores, music and eats. Love your work!